The reach and success of Delaware's Quaint Villages is only as good as our partners. Please help us help you by taking the following first steps. Follow, share and engage with our social channels. With over 13,000 followers across our channels, this is a great opportunity to support other businesses and programs we promote! Contact us with any interest in the following CO-OP plans. We're also more than happy to design a plan around your needs. Contests are an excellent way to draw traffic. By contributing products or complimentary services, we can set up a contest amplified across all of our social platforms. 4 posts each on Facebook, Instagram and Twitter. 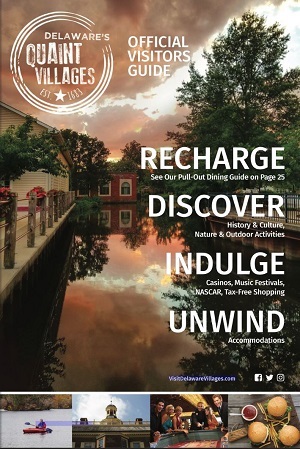 Feature placement for attractions, dining and lodging partners on an exclusive landing page where website visitors from our Programmatic campaign will be driven to find resources when considering a getaway to Delaware's Quaint Villages. Promote your business or event to our database of 40,000 valued travelers via one promotional email and a promotional post to those travelers via Facebook. Guaranteed 2,000 engagements. Promote your business through the Delaware Quaint Villages blog. Whether that entails 5 dishes to try at your restaurant, 5 beers to try or an awesome event to check out, we are happy to promote your offering to our audience.